My kids watch a British children’s show (we’re American) and some of the references throw them for a loop. Their little brains have a hard time processing that our way of doing things isn’t the only way. Because we’re not yet world travelers, one of the ways I can expose them to different cultures is through educational apps. We can take a trip across the world while learning important skills – no passports required! Counting Around the World fits the bill perfectly. Along with introducing kids to new places and cultures, this early-learning app also uses fun mini-games to boost math skills. The app is easy enough for young players to navigate and play, and virtual rewards keep kids encouraged and engaged. For each number 1 to 10 there are different ways for kids to earn stars. 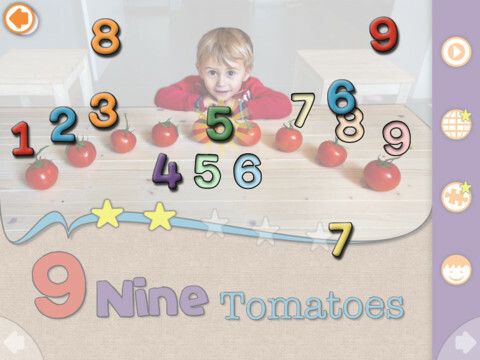 Little fingers can trace numbers, put together puzzles, and replace wayward digits. Short videos give visual examples of life in different parts of the world, and to connect the dots a map highlights the particular country that corresponds with the number. The two globetrotters that are my kids really got into this game. My son, who is 5, is an especially big fan of videos and he loved finding out that small children in Malaysia got to ride on their parents’ scooter. Not one to shy away from showing off newly learned skills, my 3-year-old proudly displayed her counting skills on the sticker page. They both played together independently without my needing to read directions or click “cancel” on in-app purchases. 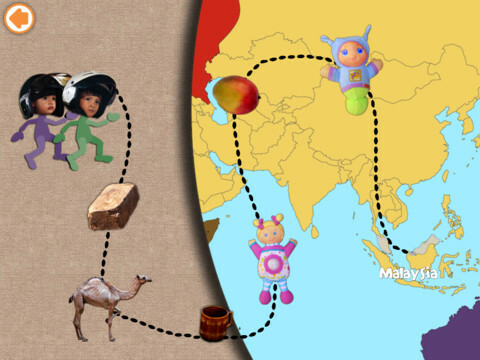 If your little explorers need to expand their global horizons while working on their math skills, than pack their virtual bags because Counting Around the World will be a math journey. A download price of $2.99 makes it an affordable app that’s loaded with content that’s as much fun as it is educational. Please help support iPadKids by downloading the game via the App Store icon below! iPad Kids is your family’s iPad HQ. Our daily updates provide in-depth iPad news, family-friendly app reviews, and handy round-ups that showcase the best apps for your kids.